It Doesn’t Matter If You Hit the Bull’s Eye If You’re Aiming at the Wrong Target! North American ranchers are the most productive and the least profitable in the world. Most ranches operate at an economic loss and rely on off-farm income, free family labor and other personal subsidies to survive. It doesn’t have to be that way. 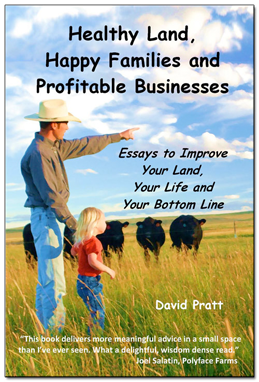 Like thousands of Ranching For Profit School alumni, you can improve your land, your life and our bottom line! Work less and make more by working with nature. Apply grazing strategies Ranching For Profit School alumni have used to double the productivity of their ranches while drastically reducing labor and costs. Use the three “secrets” for increasing profit, set a profit target and build a plan to achieve it. Overcome disagreements in family businesses and work as an effective team. Bring the kids into the business the “right” way.